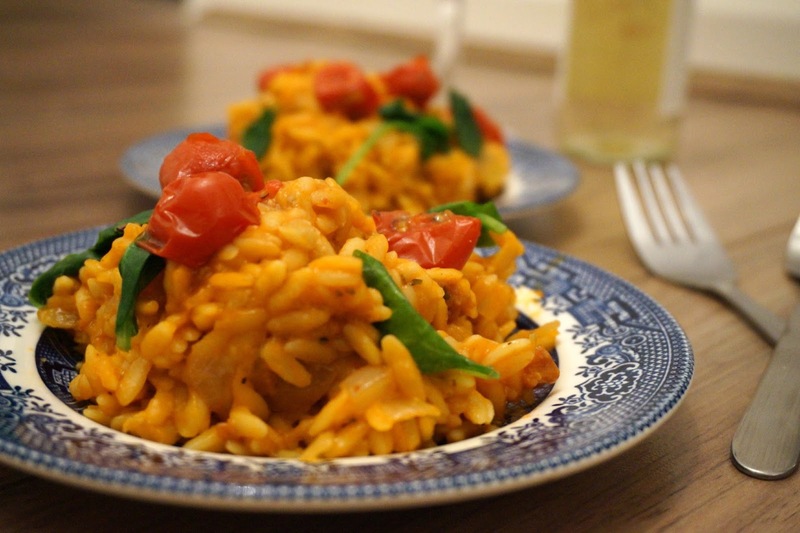 For those that aren't familiar with Hello Fresh, they're one of the UK's leading 'from scratch' cooking services. And what does that mean I hear you cry - well basically what they do is deliver you fresh ingredients and recipe cards so you can make an array of dishes for yourself at home. There's a couple of services around like Marley Spoon and Gousto - you might remember my review from a few months ago? Well for the festive season, Hello Fresh want to inspire people to cook for others and that's exactly the idea behind their #CookitForward campaign. 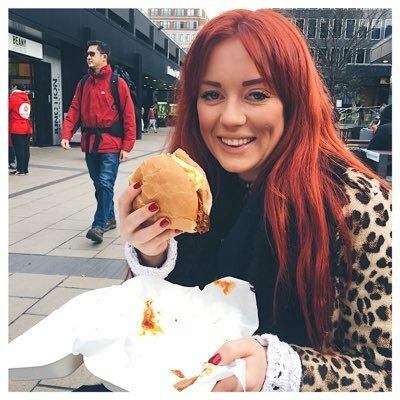 The lovely Megan of Got to be Gourmet AKA Hello Fresh's head of PR got in touch to ask if I'd like to receive a meal box for review, but with the premise of cooking it forward. When it comes to food, you don't have to ask me twice. I decided to #CookitForward by making Tom a nice home-cooked meal. I have to make the rather embarrasing confession that I've only cooked for Tom about six times the whole time we've been going out. #BadGirlfriend. But according to Hello Fresh's research, a third of us would forego being taken out to a restaurant if it meant being cooked a surprise meal by a loved one so armed with that stat, I decided to surprise Tom with a nice home-cooked meal. So with all these lovely ingredients delivered to my house and at my disposal, what did I blow Tom's socks off with? A cheesy risotto. 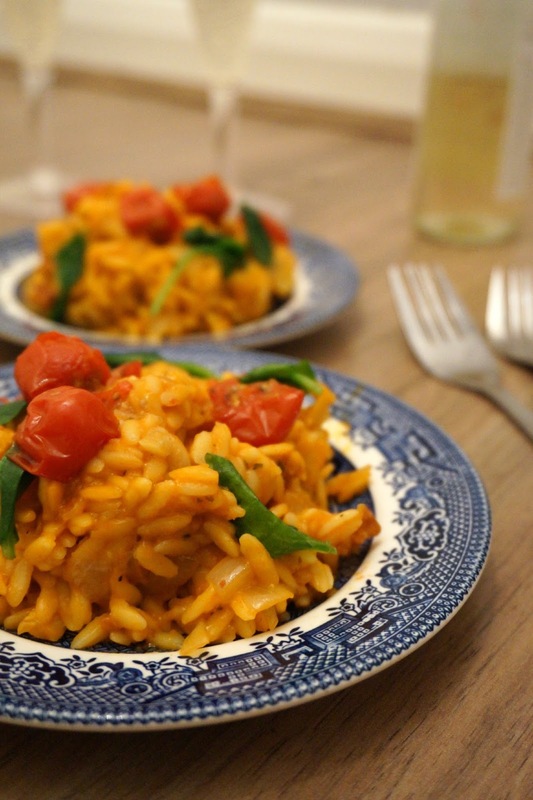 Now I know this probably sounds simple but I have to admit I've never had risotto before let alone cooked one. 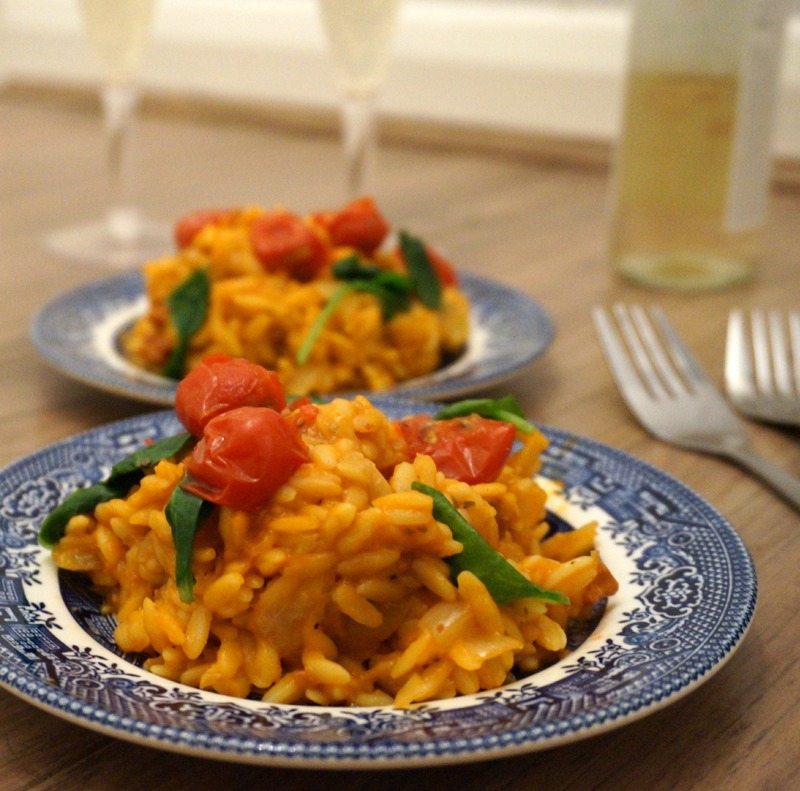 I don't realllly like rice so I tend to steer clear of it when I see it on a menu...but as I had all the ingredients here, I decided to get in the spirit of the campaign and give it a go! Turns out it's bloody lovely and really easy too. Hello Fresh deliver all the ingredients to you, pre-weighed so there's no faffing with scales, and give you an illustrated step-by-step guide of what to do so you can't really go wrong. It takes all the fear out of scratch cooking and shows you just how easy it is to get good results in the kitchen. My favourite thing about services like Hello Fresh is that they introduce you to recipe which you wouldn’t normally cook. I cook from scratch a lot at home but I tend to have a handful of dinners which I cook for myself regularly on rotation so it’s nice to find things which I can add in to that mix! 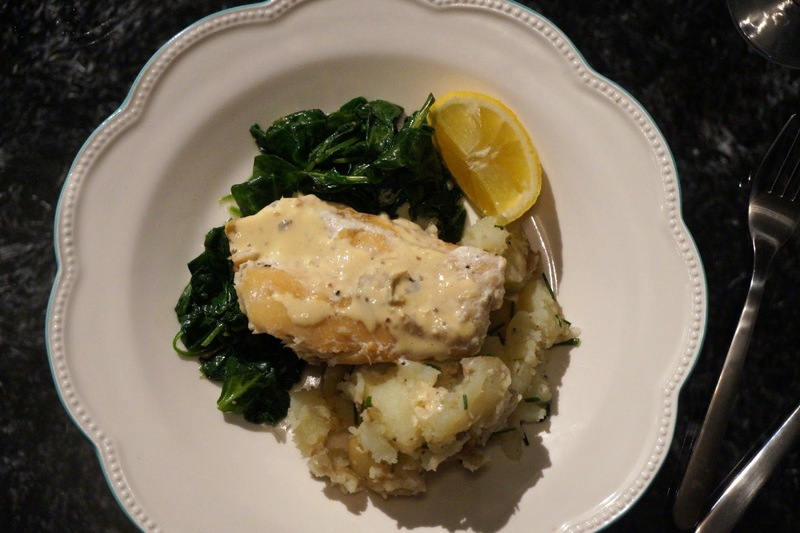 As well as the risotto which I made for Tom, I also recieve some other recipes in my kit including a delicious smoked haddock with spinach and crushed potatoes and a jerk pork number. Both were incredibly simple to make - taking no more than 40 minutes - and I will definitely be adding them to my rotation of dinners. I really enjoyed cooking with Hello Fresh. All the ingredients were really fresh and there was a good variety of meals which kept things interesting all week. I've always thought using these sort of boxes was expensive, but according to The Times, it’s actually cheaper to order with Hello Fresh than buy the equivalent ingredients from the supermarket – so I’m pretty much sold. 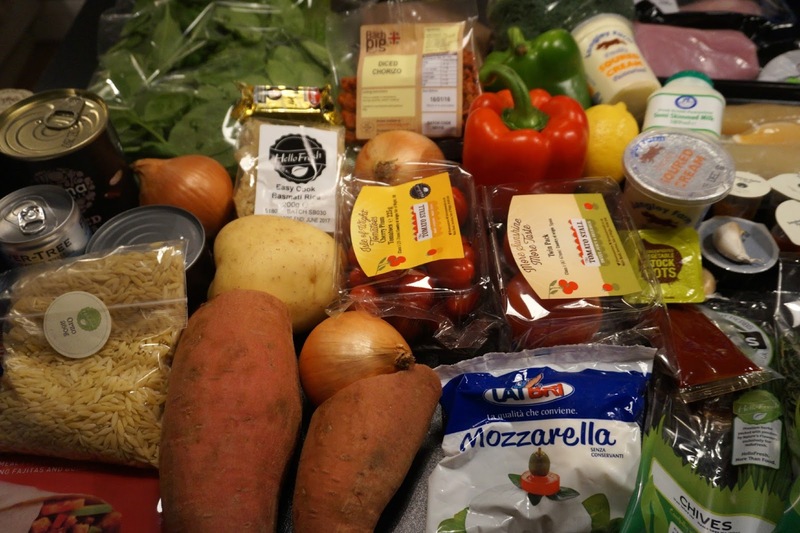 A box to feed two people five meals will cost you £49 and that’s including delivery. Check out their website below for more details. * I was sent a box for review purposes by HelloFresh. This post wasn't sponsored, I was just really impressed!